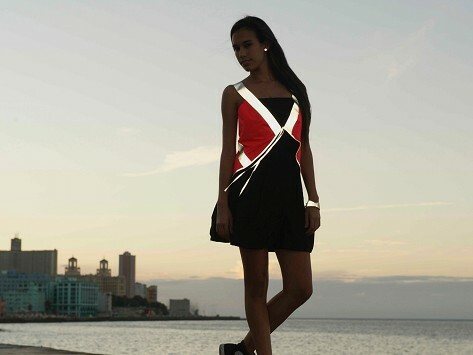 A flattering, lightweight reflective vest. Dimensions: 10" x 7" x 0.33"
My bike riding daughter is using this; can't think of a better recommendation! This was a gift for my daughter and she absolutely loves it and has thanked me on several occasions for the gift. Great when she runs and bikes. Very fun, stylish, safe! Love that I can be seen from a distance in the evening! Reflects really good. Doesn't stay in place when I'm running. Reflects really good. Doesn't stay in place while I'm running. Feel safer riding my segway! Meet the Vespert—a head-turning, reflective safety vest. Made in New York City using 100% Eco-circle recycled and recyclable performance fabric and featuring reflective 3M Scotchlite material that’s visible within 2000 feet of a car’s headlights, the Vespert is designed to look as flattering as it functions. It can be adjusted to fit comfortably over any base layer. Inside the Vespert, you’ll find an inner mesh pocket for carrying your phone, keys, or cash. When not in use, it folds right up into a built-in stuff pouch for easy storage in your purse or backpack. Sarah Canner came up with the idea for the Vespert when she began using her bike as a means to get around the City. She didn’t understand why women should have to sacrifice their personal style for their safety. The Vespert appeals to your fashion sense and your common sense.